I bought this Hammarlund HQ-145-X on eBay. I paid a little more than I planned, but I got tired of losing auctions. Got it Monday, and there is little cosmetic damage. Dirt, on the other hand, is a different story. The cover is well ventilated with thousands of holes, and 50+ years of dust build-up was on the top of the chassis. The underneath side was clean. It did work – I heard signals with just a wire off the back of the radio. Audio gain pot was noisy, some controls not real smooth. 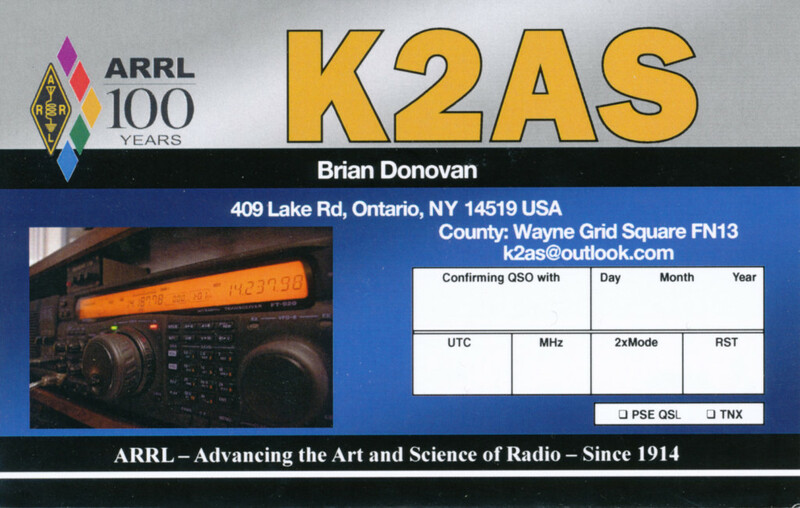 My first professionally printed QSL card since 1973, 3 addresses ago, when I was 17 and living with my parents. Lying in bed last night, I thought it would be neat if there was a tool that did this. And of course, there already is. Here is the URL to do your own location. Despite some rain and wind, Mike Rink W2HYP, Jim Stefano W2COP, and I managed to get our antenna mounted about 45 ft up the tower, and get the repeater on the air. There is still an issue with the radio. Seems squelch related, but while there, we could not find any simple answer. It was working OK with some occasional issues that were minor compared to what it sounded like 6 weeks ago. Even though the antenna will be going up another 120ft or so, I hear it fine from my shack with a collinear dual band up about 20 ft close to Lake Ontario. It was fairly noisy mobile with a 1/4 wave north of 104. Unless we get some unusually decent weather that falls on a weekend where Tim is free, we may wait until spring to raise the antenna. 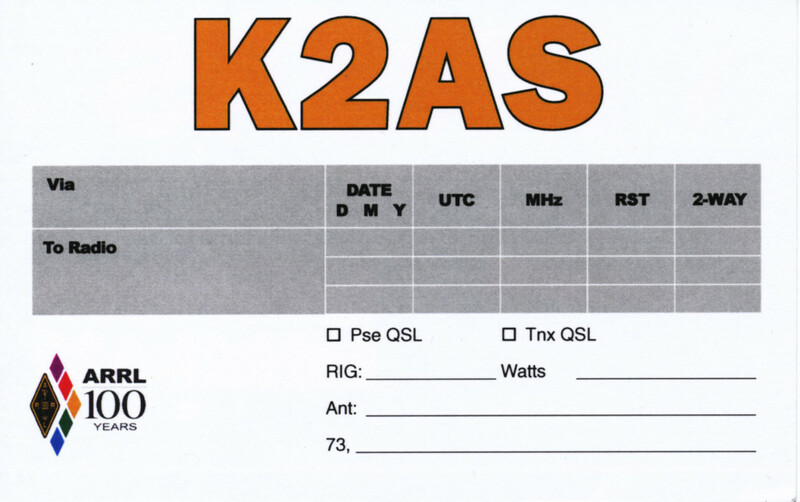 I’ve gotten info that the Yaesu repeaters are taking 3-6 weeks to ship out. So we may get it by the end of January. They have shipped over 600 so far. Very few have been turned down, usually due to incomplete paperwork. Linking up to other systems (WiresX/Echolink. etc) will be in the not-to-distant future. Thanks to Mike Rink and Jim Stefano for helping getting the antenna up and on the air today. Thanks to Fred Miller WO2P for doing some metal work with the antenna mounts. Also thanks to Tim Warth AA2RS for his work on the tower last week, and all the XARC guys mentioned previously who have helped with moving and antenna work. 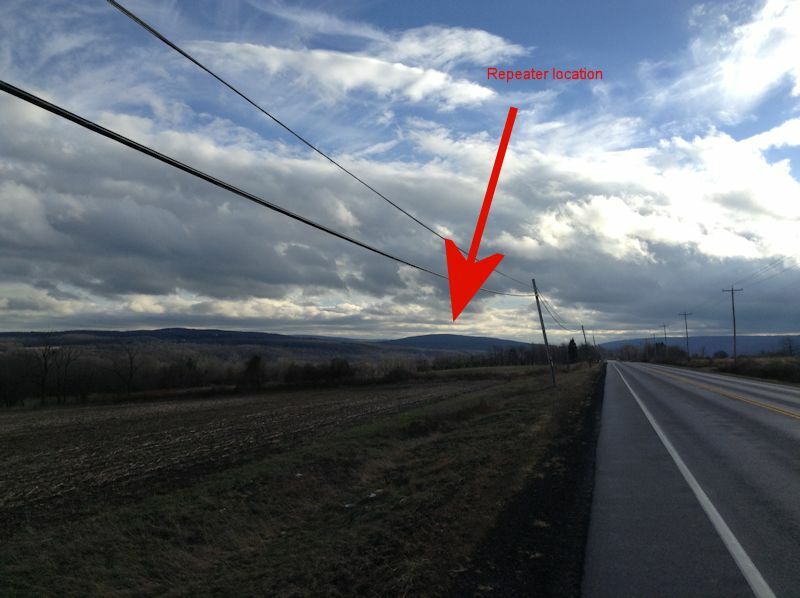 Below is a photo of the hill where the repeater is located. This is from Route 15A just south of Lima and before Hemlock. There are two towers up there, and the bigger tower can be seen from here – it is 200ft and has a flashing light on top.